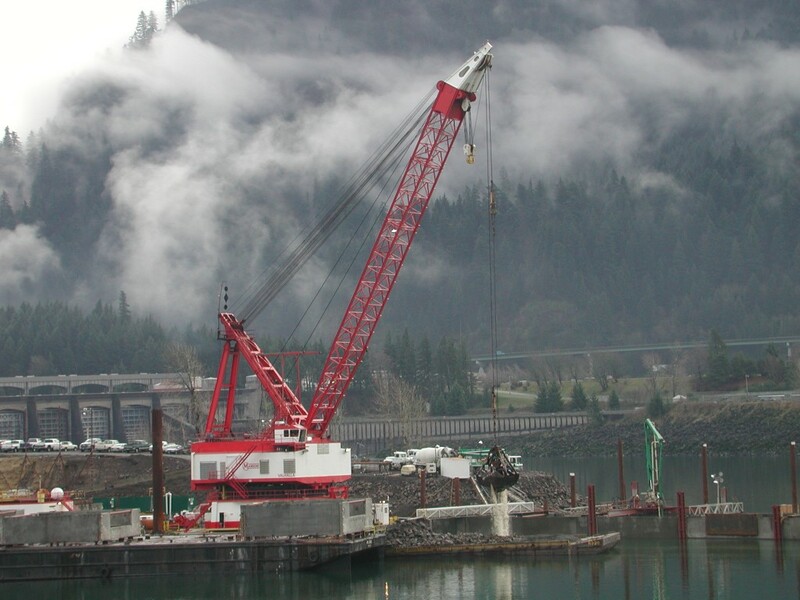 When Manson Construction of Seattle was awarded the water portion of the Oregon Bonneville Dam Fish Ladder project they called on Northwest for equipment and expertise. 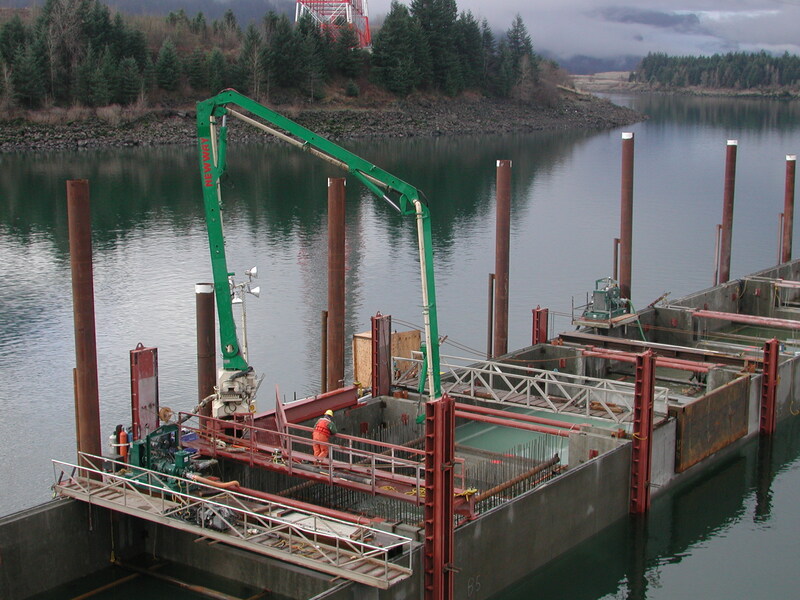 Northwest engineered and had a special bracket manufactured to hold the 32 meter placing boom atop of the anchors. The anchors consisted of a 26 prefabricated concrete vaults, which were then filled with 980 yards of concrete per vault. The vault then acted as the foundation footing for the twenty-seven foot high walls which formed the passage past the fish ladder. 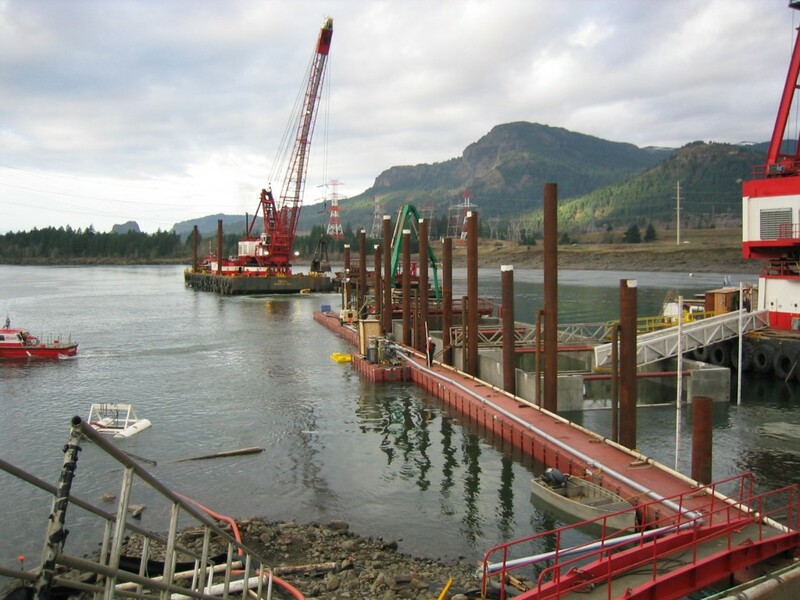 Northwest provided a 32 meter Putzmeister placing boom, 1400 feet of pipeline, a 1409 trailer pump, and a 16 cell boom pump for the project.